Percussion is divided into two types: ‘tuned percussion’ and ‘untuned percussion’. The first type includes instruments that produce identifiable pitches, such as the xylophone, glockenspiel, tubular bells and timpani (kettle drums). The second type includes drums such as the snare drum and bass drum, as well as cymbals, triangle and castanets. But there are so many wonderful percussion instruments from all over the world. Here you will hear a range of them played by top solo percussionist, Evelyn Glennie, as well as a Gamelan (an Indonesian gong orchestra). Gamelan is a collection of (mainly) percussion instruments that is a central part of Indonesian culture. These orchestras make wonderful music on the islands of Java and Bali, and consist of different instruments made mostly from metals such as bronze. Alongside a range of gongs of various sizes, there are ‘metallophones’ (an instrument with tuned metal bars, hit with a mallet), a drum called the kendang and sometimes singers and dancers. 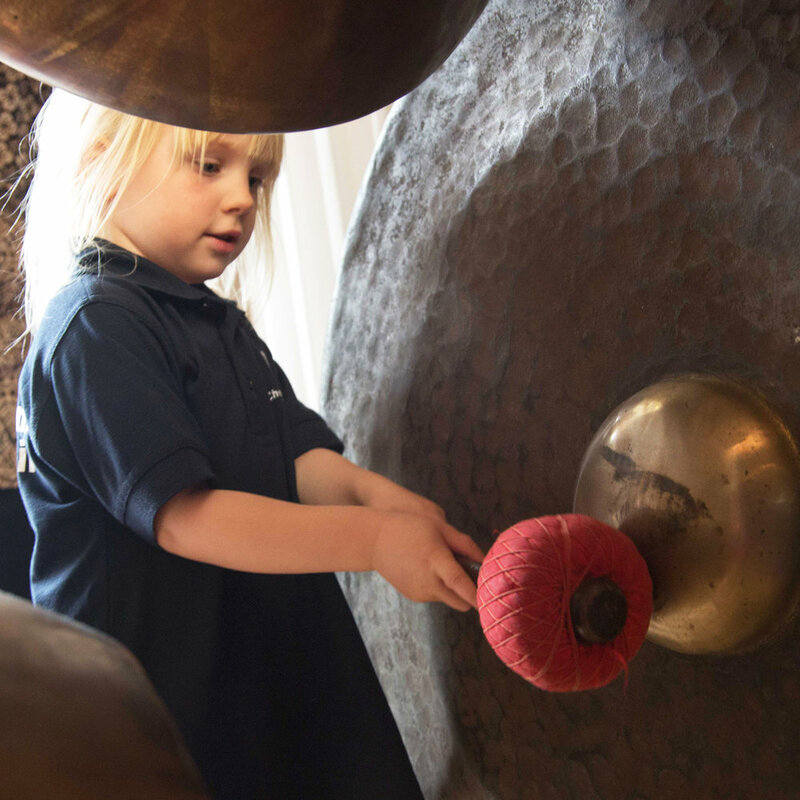 With its carved, painted wood and gorgeous gongs, a gamelan is a very beautiful thing to look at. And to listen to as well. This recording is made by a group of players in England, the Gloucestershire Community Gamelan Players. The instruments they are playing were made especially for them in Java in 2003. 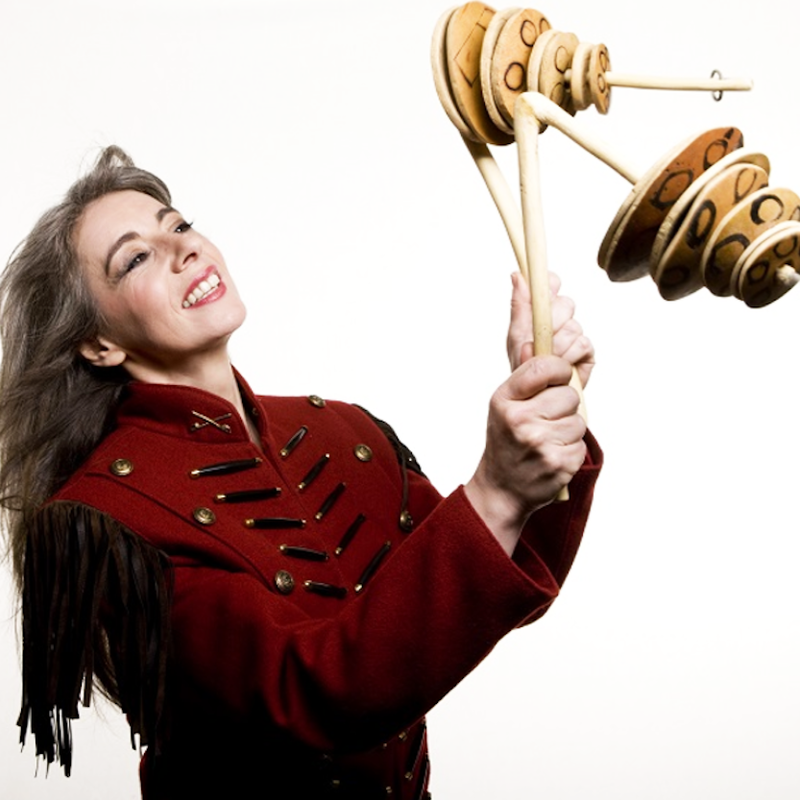 Dame Evelyn Glennie is the first person in history to successfully create and sustain a full-time career as a solo percussionist, performing worldwide with the greatest conductors, orchestras and artists. She was the first percussionist to perform a concerto at the BBC Proms at the Royal Albert Hall in 1992, and she had the honour of a leading role in the Opening Ceremony of the London 2012 Olympic Games. More than 200 composers have written pieces especially for this unique Scottish musician with over 80 international awards to date, including the Polar Music Prize and the Companion of Honour. In this fascinating improvisation, Evelyn plays a wide range of percussion instruments, some ‘tuned’ (those with identifiable pitches) and some ‘untuned’. Evelyn has a massive collection of percussion instruments – more than 2,000 of them!